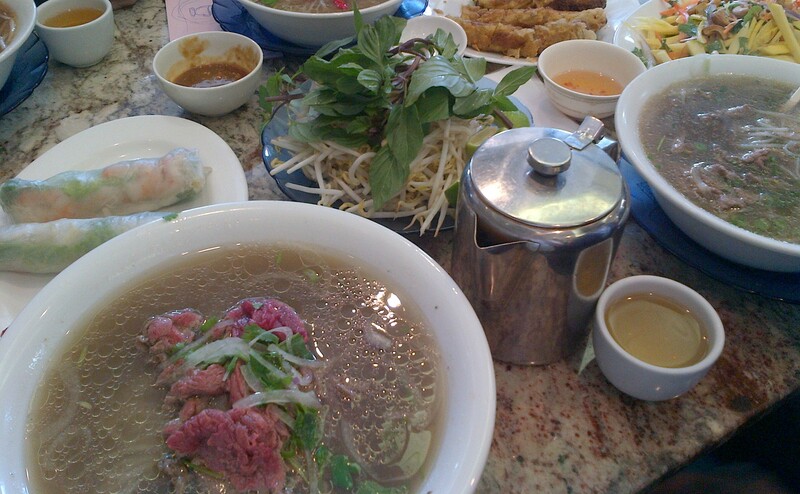 The best thing about a yummy bowl of pho is who you go with to eat that yummy bowl. I’m not sure how the tradition began but every time I went to Toronto to visit my cousins, I would always go for an extra large bowl before heading back to the States. 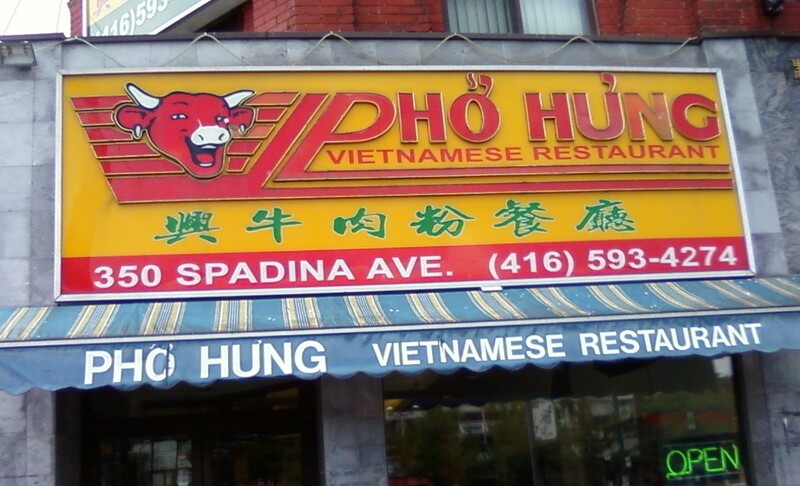 Our restaurant of choice is Pho Hung and it is located at 350 Spadina Ave right in the middle of China Town. Whoever arrived first was responsible for finding a table as the place is always slammed, especially early Sunday afternoon. When everyone did eventually find parking and the group was reunited, we would all take a deep breath, laugh about whatever happened the night before, and drink the tea provided to help us with our ailments. I was in charge of ordering and would scribble in chicken scratch too many orders of fresh spring rolls, fried spring rolls, some arbitrary dish, and, of course, enough bowls of pho turning a quick lunch into an enduring holiday dinner. The service is so so at Pho Hung so count yourself lucky if you order extra onions and the waiter returns with them. But, the service is not why we come. I, along with dozens of strangers, come for the atmosphere, the delicious food, and the warm feeling that comes from sipping a bowl too quickly while sharing a good time with your best friends.